We are open from Spring until late Fall. 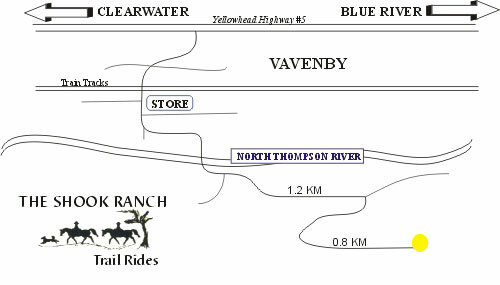 The Shook family Ranch is located 30 minutes north of Clearwater and 45 minutes south of Blue River. It is a 10 minute easy drive from the scenic Yellowhead Highway #5.